You guys remember when I told you that taking a certain type of protein as a post-workout shake produced no better gains that water?! Yep. The study subjects might as well have been drinking water in terms of its effect on protein synthesis – such is the crappiness of this protein. Here is that study if you want more. What kind of protein was it? Soy contains isoflavones that mimic estrogen in the body. 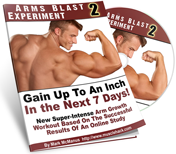 Not good for guys trying to build muscle! And not good for more reasons besides. Anyway, I recently came across some more research done by Mike Sheridan. And you need to see it. (1) A study from the Journal of the American College of Nutrition found cognitive dysfunction and brain atrophy in men consuming two or more servings of tofu per week. (2) Researchers in the American Journal of Clinical Nutrition also found significant cell proliferation in breast tissue from soy supplementation in only 14 days. (3) A Japanese study at the Ishizuki Clinic found that just 35mg of isoflavones per day caused thyroid suppression in healthy individuals in just three months. (4) In 1992, the Swiss Health Service estimated that two cups of soy milk per day provides the estrogenic equivalent of one birth control pill. Infants fed soy formula the equivalent of five birth control pills. By the way, most protein bars out there are garbage. Those Snickers and Mars protein bars are mostly soy protein (I reviewed those bars here). I’ll show you how to make much tastier ones for just pennies with high quality, muscle-building protein here. People that promote soy consumption will tell you that it’s a complete protein (contains all the amino acid). Yes it’s complete, but it comes in with a biological value of 70-80 and a net protein utilization of just 61. An egg, by contrast is complete with a BV score of 100. NOTE: If you’re really serious about getting the best muscle gains possible, I put together a guide of the 5 best proteins to eat BEFORE training – not all proteins are created equal! Make sure you are getting the best gains possible. Pop in your details below to get it free (zero spam policy). I’m not saying that every single gram of soy is dangerous. You probably can’t avoid it 100% anyway. 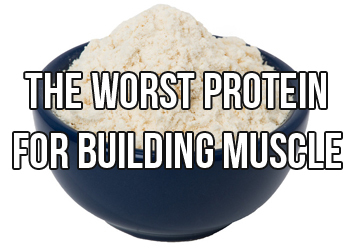 I simply encourage you to not use it as a protein source. 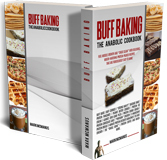 Real food from meat, dairy, whey is what you need to really build muscle. 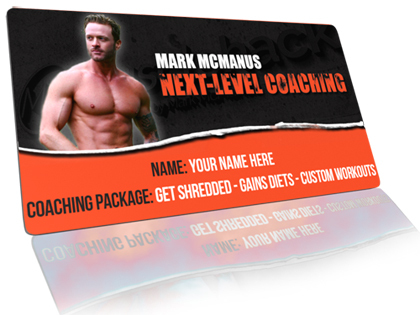 If you still haven’t done so yet, download my totally free 3-day and 5-day/wk THT training routines; just enter your details below for immediate download. See success stories on my homepage. It will tell you the best exercises to use, the best rep ranges, the right number of sets to do, the best training frequency – everything you need for the best gains ever. Don’t worry, there’s no spam.